Ubuntu — and other Linux distros — is an assertive operating system. Only a user with administrator privileges who can make any changes on the system. If you are just an ordinary user, you can’t even execute some exclusive commands and viewing files under the root (/) directory. 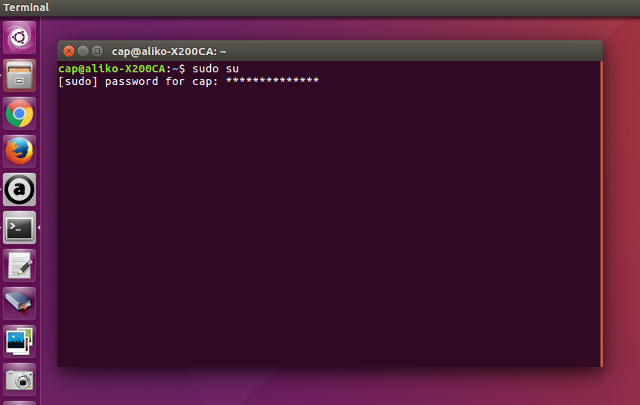 In Ubuntu, there is a command called “sudo”. The command enables users to access some exclusive command that technically only available for administrator (root). Users can only run the “sudo” command if they are listed as a sudoer. Every sudoer will be asked for administrator password every time they run the “sudo” command on the terminal. By default, you can’t see anything on the terminal even if you have typed some characters on it. There’s no dot or star sign to indicate you’ve typed something.